At Marshall Auto Group, we pride ourselves on creating a fun experience the entire time you’re in our company. One way we do that is by providing quick, stress-free ways for you to get behind the wheel of a vehicle you love. Once you find the vehicle, we offer a transparent trade-in valuation for your current vehicle. Not only does it give you cash back on your purchase, but it also saves you time. One problem many buyers have is finding a way to pay for the car they want. However, Marshall Auto Group offers some of the best finance deals in the area. It doesn’t matter if you have no credit, good credit, or bad credit. We’ll find a deal that works for you. To streamline the process, all you need to do is fill out our handy online finance application. Once we have your information, we’ll work to find the best interest rate and term for you. Thanks for Stopping By Marshall Auto Group! 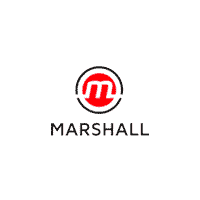 Marshall Auto Group treats the needs of each individual customer with paramount concern. We know that you have high expectations, and as a car dealer we enjoy the challenge of meeting and exceeding those standards each and every time. Allow us to demonstrate our commitment to excellence! Our experienced sales staff is eager to share its knowledge and enthusiasm with you. We encourage you to browse our online inventory, schedule a test drive and investigate financing options. You can also request more information about a vehicle using our online form or by calling (859) 824-8326.